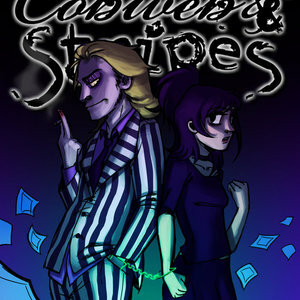 Casting Call Club : [OPEN] [VOICES NEEDED] Beetlejuice Motion Comic: "Cobweb & Stripes"
Casting Call for [OPEN] [VOICES NEEDED] Beetlejuice Motion Comic: "Cobweb & Stripes"
[OPEN] [VOICES NEEDED] Beetlejuice Motion Comic: "Cobweb & Stripes"
About [OPEN] [VOICES NEEDED] Beetlejuice Motion Comic: "Cobweb & Stripes"
Cobweb & Stripes (CnS) is a fan comic created and produced by Adda the Ripper [x] based on Tim Burton's Beetlejuice (both the live-action film [x] and animated series [x]). 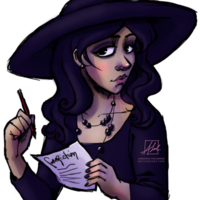 I'm Mina Little, the voice of Lydia Deetz (and others) in Adda's motion-comic adaptation of Cobweb & Stripes. Production for CnS shall begin later this year. We are searching for voice-over artists (of any experience) who can portray male characters. *Female Character Auditions are presently closed. If this changes, we'll inform you. - Read lines either from the comic or create your own. Be sure to state who you are and whom you are portraying. We encourage anyone to audition, regardless of experience level! This project is for unpaid nonprofit FUN!